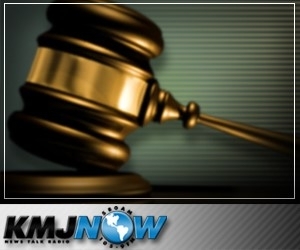 FRESNO, CA (KMJ) – A South Valley murderer is denied parole for the sixth time. The Office of the District Attorney of the County of Tulare sent out a press release on Monday. On March 6, 2019, at Corcoran State Prison, a California parole board issued a three-year denial for Raymond Chavez. A deputy district attorney argued against his release in this case. The 64-year-old shot a man in the temple in north Visalia back in 1979. Around 3:15 in the morning on August 26, 1979, after an evening of drinking, Chavez and four other males got into two cars and began driving in the area of Perez Ave. They saw the victims, 52-year-old Joe Mossa and his wife, Ruth, loading their car with luggage as they prepared for a trip. As the couple drove off, Chavez and the group obstructed their path, blocking them in the front and back with their vehicles. Chavez confronted Joe Mossa, sitting in the driver’s seat, pointed a gun at his head, and demanded their valuables. Dissatisfied with the $150 presented to them, the group attempted to enter the car, but the windows and doors were locked. Mossa tried to turn the wheel to get away, but Chavez shot him once in the temple, killing him instantly. Mossa’s foot hit the gas pedal, sending his car up the curb before slamming into a tree. He was located and taken into custody on August 29, and positively identified as the shooter by the victim’s wife, Ruth. In May of 1981, Chavez was convicted of first-degree murder with the special allegation of using a firearm and the special circumstance that the murder took place during the commission of a robbery, and robbery with the special allegation of personal use of a firearm. Chavez, who was deeply involved with gangs, was originally sentenced to death, but later re-sentenced to 27 years-to-life on appeal.